January- A new puppy became a part of our family!!! February- I was able to enjoy a Woman's Retreat with my mother in law. March- My baby turned five years old, scary!!! April- We recreated a treasure hunt, loved every minute of it! May- Switched adoption agencies and met our wonderful social worker who has become a great friend! June- Trinity Daddy and I celebrated our 10 year anniversary and escaped for our second honeymoon! July- We took our best family vacation yet to the mountains! We are all looking forward to going back this year!!! August- Trinity Daddy and I got to be a part of a Q&A with Wayne Jacobsen.. very inspiring! September- I was blessed to be able to go to Florida and spend some quality time with my aunt and cousin, girls beach trip! October- Began our Church journey= Fellowship with those that Father brings across our paths! November- We were blessed to discover the wonderful world of Waldorf! December- Lots of handmade memories were made and created together as a family! Sounds like a wonderful year. Want to do some reading on Waldorf things soon as well. With a little guy things are VERY different, Waldorf has truly been an answer to all of our frustrations! I HIGHLY recommend looking into it! 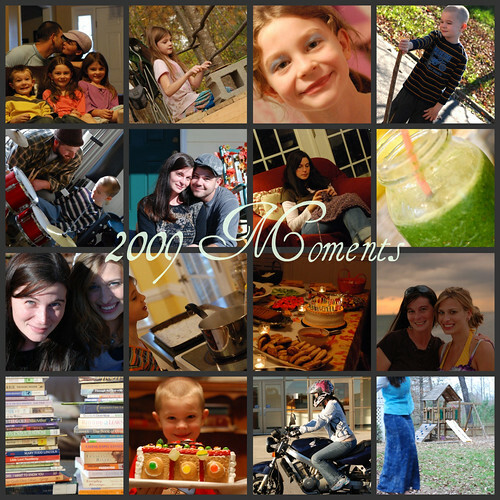 It looks like 2009 was a beautiful year for you! Congratulations on your tenth anniversary!! My love and I celebrated our 10th anniversary in July! My the Lord continue to bless you in 2010!